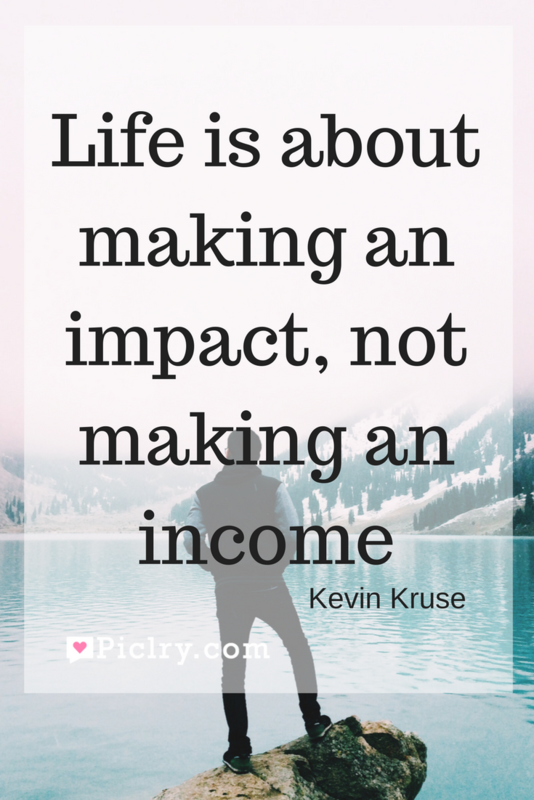 Meaning of Life is about making an impact, not making an income Quote by Kevin Kruse. Most of us are so busy in making money that we often overlook what impact and impression are we making. Do people remember us for our money? Yes, sometimes, but mostly in envious sense. They remember us for the impact that we make on their life and that counts. Life is about giving someone a little hope, helping them to find the stand and meaning in their life. It is about giving some dreams to dreamless eyes and giving them strength to reach them. Life is so much more than just making money. We can’t take the money with you. Once we are gone, it will belong to someone else. But the impact that we have made in our lives will always belong to us. That is the only thing that will stay with us forever. So make impact and not just money.